1. Take Route 27 Westbound. 2. Turn left onto North Sea Road heading southbound. 3. Turn right onto Windmill Lane. 4. 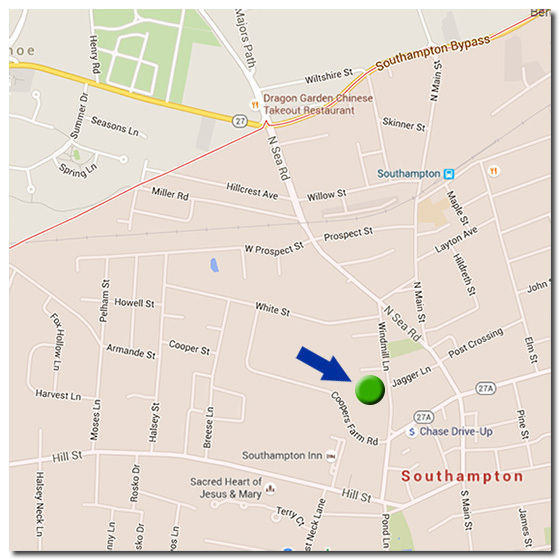 The Southampton Village Police Headquarters is located at 151 Windmill Lane (West side of the road) just across from Jagger Lane. 1. Take Route 27 Eastbound. 2. Turn right onto North Sea Road heading southbound.